Each year Rhizome presents Seven-on-Seven a conference that pairs seven leading artists with seven luminary technologists, and challenges them to make something new together – be it an application, artwork, provocation, or whatever they imagine. They unveil their creations, and discuss their process, at an intimate public event in NYC at the New Museum. 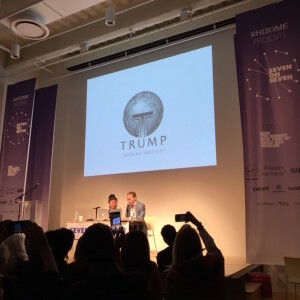 This year, Niio Co-Founders, Rob Anders and Oren Moshe were fortunate attend this truly unique event at NYC's New Museum. Be sure to check out the presentations. 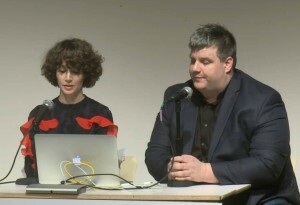 Rhizome is an art and technology organization based on the internet, and an affiliate organization of the New Museum. It supports contemporary art to create richer and more critical digital cultures, through programs online and off – including commissions, exhibitions, events, an online journal, and an archive of over 2000 born digital artworks. 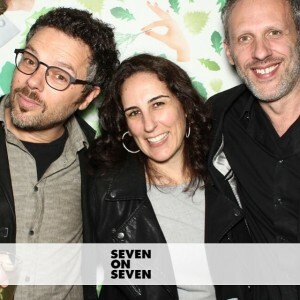 Presented by Rhizome, the Seven on Seven conference pairs seven leading artists with seven luminary technologists, and challenges them to make something new together – be it an application, artwork, provocation, or whatever they imagine. They unveil their creations, and discuss their process, at this intimate public event.